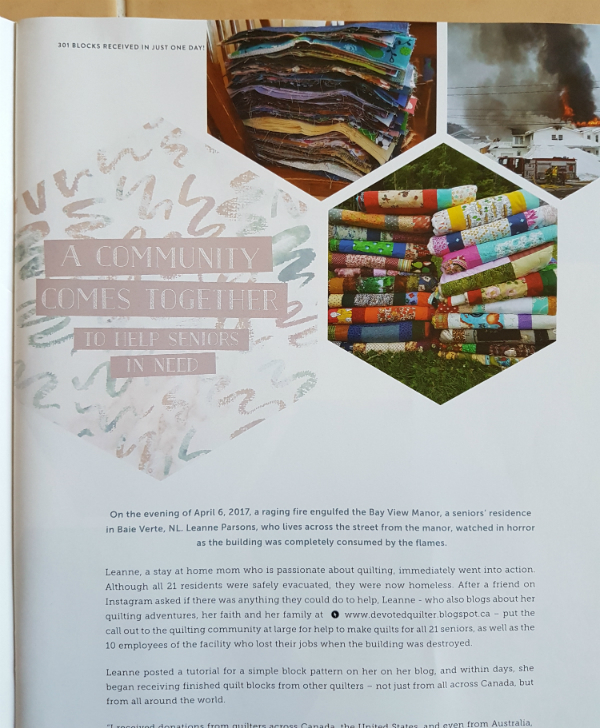 Back when I made the call for blocks to make quilts for the seniors displaced by the fire, a woman named Heather contacted me about doing an interview about the project for Quilter's Connection magazine. I had never heard of the magazine before, but I enjoyed my interview with Heather and she assured me she'd send me a copy when the issue came out. Well, it arrived a few days ago and it is such a beautiful magazine! There are several beautiful projects in the magazine, including a quilt made with zippers (intriguing, right?) and profiles of a few Canadian quilters to watch. 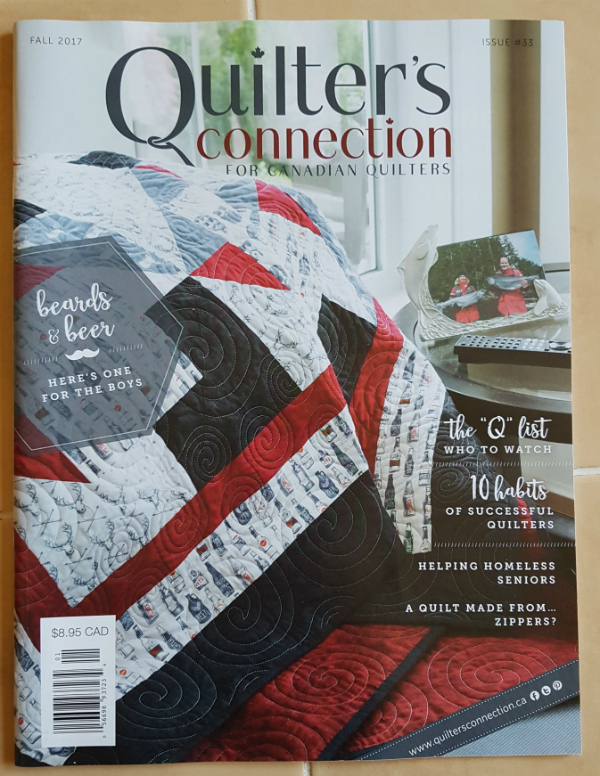 Quilter's Connection comes out four times a year and you can preview the current issue here. Head on over to their website for more information, to buy an issue or to subscribe. Congrats!! So exciting to be in a print magazine! I haven't heard of this magazine either. It looks very good! That is really neat! I love that picture of the stacks of quilts. Congratulations! It was a great thing that you did.